Calling all yogis! XYoga Dubai is finally back, with two full days of non-stop yoga classes – all for free! From inversion workshops to yoga classes with world-famous instructors, you don’t want to miss out on this yoga festival this weekend. The sixth edition of Market Outside the Box is back this month! 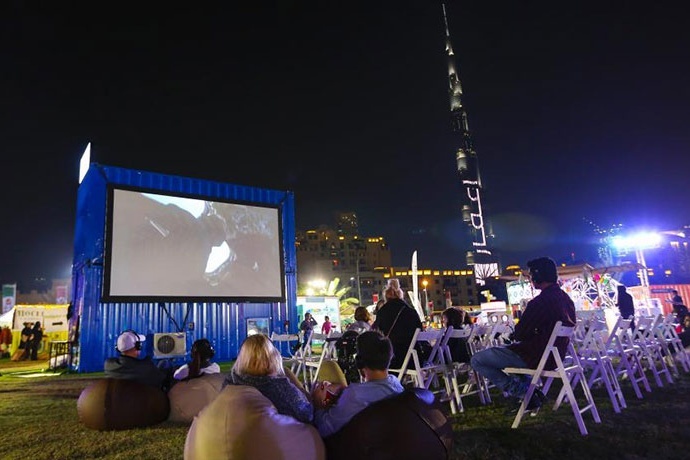 Don’t miss this fun outdoor market at Burj Park, with everything from live music and fitness classes to lots of tasty food and market stalls. There’s so much going on at the Ripe Market every weekend! Whether you want to enjoy a cup of coffee, join in on a yoga class, shop from the market stalls or sign up for a chocolate-making workshop – you don’t want to miss this. Ladies, make your way to Belgian Cafe this Friday for ladies night! You’ll get to enjoy three complimentary drinks, or unlimited drinks and a Belgian bites platter for just AED 100. If you’re looking for somewhere to party this Friday, look no further. Poppy Dubai, one of the trendiest new bars in Dubai, invites you to its new Deep Crates night – mixing together great music across all genres. Deep funk, soul, afro beat, hip-hop, reggae, garage – name it, they’ve got it. Out of all the free things to do in Dubai this weekend, here’s one of our favourites. There’s a brew fest happening at Dubai Creek this weekend! Round up your mates and head to QD’s this weekend to enjoy the live music, great views, brews and happy hour deals. Fancy watching the fireworks in Dubai this weekend? Make your way to Al Seef Dubai to catch the spectacular fireworks show to celebrate Dubai Shopping Festival. Can’t make it to Al Seef? No worries, you can also watch the fireworks at La Mer and The Beach. Love photography? Join fellow enthusiasts on a photo walk around town this Friday! Organised by Nikon and Rove Hotels, you’ll be exploring Dubai’s cultural spots with Emirati photographer and local heritage expert Dr. Ahmad. Don’t miss out on the live music nights at Reform Social & Grill every weekend! Head there on Friday to catch singer and songwriter Jamie Wrecs live, playing smooth tunes throughout the evening. Foodies, make your way to Backyard Dubai this Saturday! They’ve got a Thai Street Food Festival filled with food trucks, live cooking stations, masterchef classes, entertainment, prizes and more.